Queen Anne’s County, Maryland’s Gateway to the Eastern Shore, is the right choice for companies seeking a prime, affordable location that offers an excellent quality of life, a well-educated workforce, and easy access to major metropolitan areas. Part of the Baltimore-Towson MSA and just within a hour’s drive of Washington, D.C., Queen Anne’s County provides the best a variety of lifestyle and business location choices. From Kent Island, the hub of commercial and residential activity, to our rural, colonial-era small towns, the county appeals to people who enjoy maritime activities, love history, and enjoy the outdoors. Queen Anne’s County begins at the eastern most terminus of the Chesapeake Bay Bridge and the US 50/301 corridor links to major interstates and provides prime access to international freight terminals, such as the ports of Baltimore, Wilmington and Philadelphia, as well as international airports. Federal laboratories, government facilities and major medical research facilities are within a one-hour drive. Companies that Choose Queen Anne’s County! include PRS Guitars, Miltec U.V., Tidewater Director, AZZ Enclosures, and Zodiac Milpro N.A. 1,400 businesses and a labor force of 27,000 with easy access to government facilities, federal laboratories, prime contractors, tech centers and the MidAtlantic market. This area known as “The Gateway to the Eastern Shore” is a premier business location. The County’s strategic Mid-Atlantic location, excellent market access, highly educated workforce, excellent schools, competitive business costs, attractive incentives and outstanding quality of life is ideally suited for businesses of all sizes and sectors. 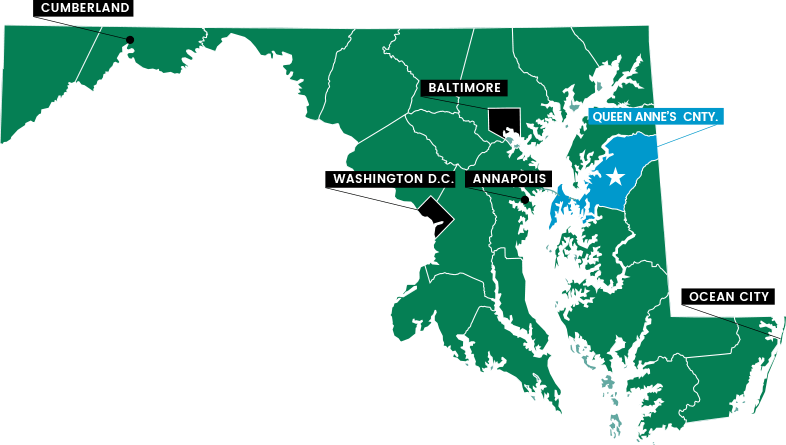 Queen Anne’s County is home to 1,400 businesses and a labor force of 27,000 with easy access to government facilities, federal laboratories, prime contractors, tech centers and the MidAtlantic market. With metropolitan accessibility, growing job and employment rates, top-ranking agricultural opportunities, and enticing business incentives, Queen Anne’s County strategically functions as the Business Gateway to the Eastern Shore. Queen Anne’s County is one of the most scenic areas of Maryland with its amazing waterfront areas and hundreds of acres of farmland and permanently preserved open space. 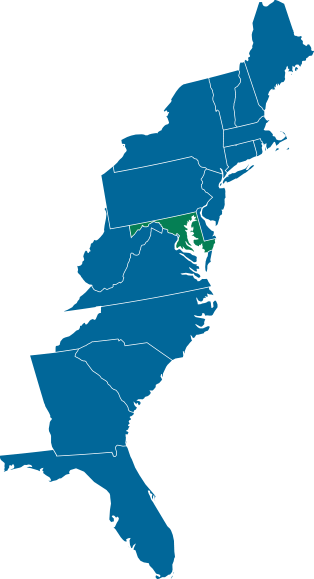 Queen Anne’s County’s population increased by 17.85% from 2000-2010. This was the 5th highest growth rate among Maryland’s twenty-three counties and the City of Baltimore. The County’s workforce of over 26,000 is the largest on the Eastern Shore. In 2016, the average unemployment rate was 3.8%.